Cleantech Open announced today the selection of over 100 cleantech startups from around the country as participants in its rigorous five-month accelerator program of focused mentoring and intensive workshops. 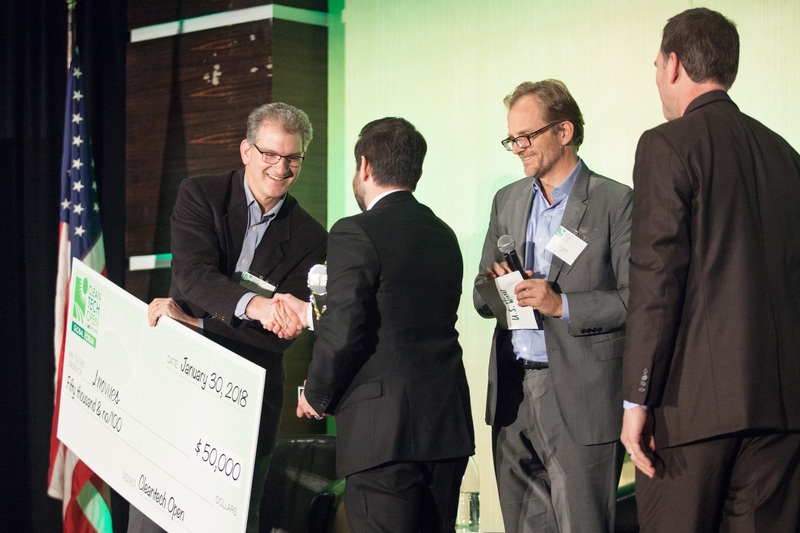 Now in its 13th year, with over 1,000 startup alumni under its belt, the Cleantech Open program culminates early next year with the cumulative award of cash and in-kind rewards of up to $250,000 across regional and national showcasing competitions. After sifting through a strong showing of applications, both the Cleantech Open’s Northeast and Western regions selected over 40 startup teams, while the Midwest accepted ten. The remaining teams came from the Rocky Mountain and Southeast regions. Of Cleantech Open’s eight categories, Agriculture, Water and Waste made up the largest cohort, with 22 percent of accepted applicants. Energy generation, Energy Efficiency, and Information and Communication Technology followed, with each representing roughly 15 percent of accepted applicants. In the Northeast, this year’s 2018 cohort of over 40 cleantech startups is 20% student-led, 20% female-led, and 31% minority, representing each of the accelerator's eight categories. In the West, almost half of the over 40 teams are located in Southern California, bringing a new wave of the cleantech ideas from the south. The western cohort represents a wide variety of technology categories, with the strongest presence of ventures working on Energy and Transportation. Selected from dozens of ventures across the 13-state area, the ten 2018 Midwest teams represent the tremendous power of the region’s innovative spirit to start successful ventures with clean technologies and grow sustainable businesses. Two of the 10 startup CEOs are women, three are students, and five of the 10 selected startups represent 5 of CTO's eight cleantech categories. In the next two months, CTO will hold their National Academies WEST and EAST where the selected startups will be given the roadmap for the next few months as we work with them to perfect their readiness for pitching to VCs. At the Academies, each team works with its assigned business mentor from the Cleantech Open’s pool of expert volunteers, who will guide and coach their team through a series of rigorous exercises to regional judging and Awards in late October and early November, prior to the Global Forum at the beginning of 2019. Throughout the five-month accelerator, companies will be connected with mentors, entrepreneurship education, visibility, opportunities to access capital, and other vital resources to help entrepreneurs and technologists launch a successful cleantech company. Meanwhile, Cleantech Open continues to expand its network within the cleantech commercialization support ecosystem. CTO supports this year's startups with a robust network of business experts developed over the last 13 years across the country, and with a newly enhanced curriculum.